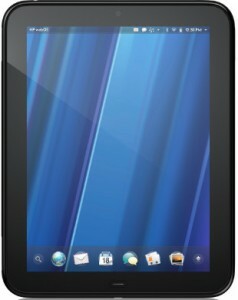 More and more Mobile manufactures are coming out with web tablets to the already crowded segment. The latest release among which is the HP TouchPad announced today at the HP Think Beyond an event held at USA. 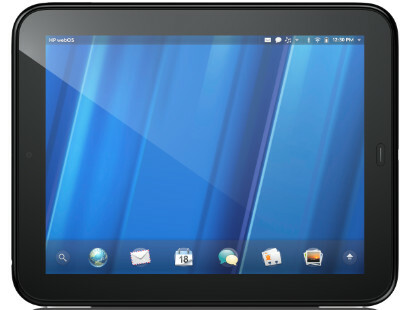 HP TouchPad is the first tablet based on Palm WebOS that HP acquired in the last year. A new version of the WebOS specially designed for tablets will be included in HP TouchPad. HP WebOS 3.0 will have the same card-stack interface and support for high definition displays, applications and dual core mobile processors. The WebOS interface in TouchPad is very user friendly. Multi-tasking apps are arranged as cards and all similar cards in stacks. Many features of the interface were also gotten redesigned to meet the tablet specifications. Mail application, notifications, photo browser and some apps now have some features adapted for large displays. There is social media application called HP Synergy that can be used to manage and sync Facebook, Twitter, and other online accounts in one place. TouchPad includes a new generation TouchStone technology that let the users share Web URLs, messages, email, call between selected WebOS devices. Coming to the hardware side, HP TouchPad has a 9.7-inch capacitive, multi-touch screen with a 18-bit color, 1024×768 resolution display. HP TouchPad will be available in WiFi, 3G versions and 16GB/32GB storage options. All models come with a front facing video camera, but there is no camera in the back side. The new QUALCOMM SnapDragon 1.2 GHz Dual-Core CPU and availability of 1GB RAM is pretty enough for graphics intensive games and multi-tasking. There is A-GPS supports but only for TouchPad 3G model. The thickness is of the device is just 13. 7mm and it weighs around 740 grams. TouchPad supports wireless charging when used with HP Touchstone dock (sold separately). Wireless printing and paring with selected HP printers is another feature of the TouchPad. Overall it is a prefect device with a great OS and impressive hardware. HP will launch TouchPad in the selected world market by this summer. Price and plans will be announced later. Considering specifications and the current trend in the tablet market the price would get up-to 600-650$ level for the unlocked model.